When all the websites hosted on a server use the same resources like operating system, bandwidth and software applications, it is called shared web hosting. In Thailand most of the websites are hosted on shared servers, but the quality and service support may vary individually among different web hosting companies. In addition to the monthly or annual charges, some hosting companies charge a fixed set up fee in the case of shared web hosting. However shared hosting is still best for small businesses and individuals which do not require large disk space and bandwidth because of the low cost. Thaihosting has different shared hosting plans at affordable rates without any set up cost. Limited technical skills are needed to design a website under shared hosting. Almost all web hosting companies now provide easy to use site builders which do not require advanced designing skills. The users need not worry about the sever administration because all of them will be managed by the hosting company. Therefore no need of looking into the server maintenance, hardware failure, software issues or network problems. Speed may be an issue with most of the hosting companies because of the sharing of bandwidth. There are many hosting companies in Thailand that offer shared hosting with unlimited bandwidth.Thaihosting has unlimited bandwidth in all of its shared hosting plans. The users can build more than one website on a single account if each website needs limited disk space and bandwidth. Large space is only needed if the website has several multimedia files like videos, images and audios. The starter plan of thaihosting provides 250 MB disk space while its premium plan offers 5GB storage capacity. See the starter plan here Other features of the shared hosting provided by some of the good hosting companies include multiple email accounts, MySQL, PHP, FTP access and free domains. The free technical support through telephone, chat and email helps every user in the event of a malfunction or problem while designing websites. 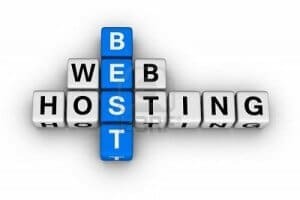 While shared hosting has numerous advantages, the long term use of the service exerts pressure on the users due to sharing of the resources. When a website uses its maximum disk space and bandwidth, the overall system resources are reduced causing slow down of other websites. Shared hosting has a low security level which may not be suitable for websites dealing in critical data like financial transactions and confidential information. In a shared hosting, only the software and applications provided by the hosting company can be used and this limits the use of own applications useless for the user.